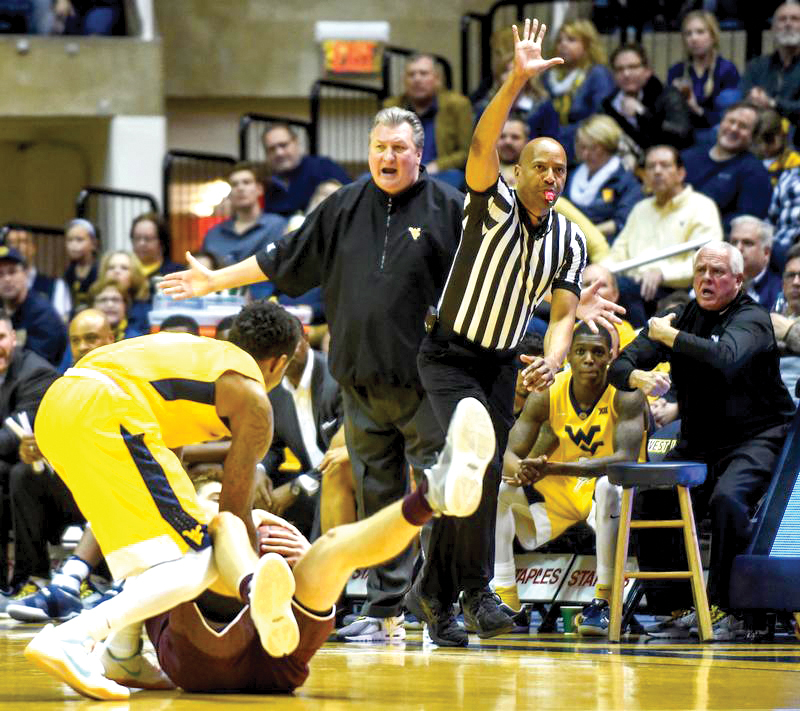 WVU coach Bob Huggins disagrees with a call during a recent game in Morgantown. AMES, Iowa (AP) — West Virginia and Iowa State entered Tuesday night’s game tied for third place in the Big 12. But the Mountaineers are trending upward — and the Cyclones looked like they might be in trouble. Nathan Adrian scored a career-high 23 points and grabbed 11 rebounds as No. 7 West Virginia overwhelmed Iowa State 85-72 for its third straight win. Tarik Phillip had 15 points for the Mountaineers (18-4, 6-3 Big 12), who hit 10 3s and forced 16 turnovers in winning their third road game in league play. “That’s what we try to do. We try to do that with everybody. That’s why we play so many guys, trying to wear them down as much as we possibly can,” West Virginia coach Bob Huggins said about his team’s pressure defense. It worked on the typically sure-handed Cyclones, who shot just 29 percent in the second half. A late 9-0 run capped by a layup by Jevon Carter put the Mountaineers up 70-55 with 5:36 left, sending Iowa State to a fourth loss in six games with a trip to No. 3 Kansas set for Saturday. Matt Thomas scored 19 points for Iowa State (13-8, 5-4), which suffered its biggest home loss of the season. West Virginia: The Mountaineers kept their very slim Big 12 title hopes alive by winning a key game in a tough gym. But they’re two games behind Kansas and Baylor in the loss column — and they have to travel to Lawrence and Waco in February. Still, beating Iowa State in Ames will look good on Selection Sunday. Iowa State: Are the Cyclones in danger of missing the NCAA Tournament? Iowa State heads into February without a single win over a ranked opponent. As of now the Cyclones would still likely be in the field, but they don’t have a ton of resume-boosting chances left. Losing by double digits at home to anyone this late in the season isn’t a good sign either. This win can only help the Mountaineers in the eyes of the voters, though a home loss to Oklahoma State on Saturday would likely send them down a few spots anyway. West Virginia’s Esa Ahmad had 14 points on 5-of-10 shooting. … Iowa State’s Deonte Burton scored 11 points with a career-high 10 assists — but he also had five turnovers. “If we had slowed down, we would have had a better outcome,” Burton said. 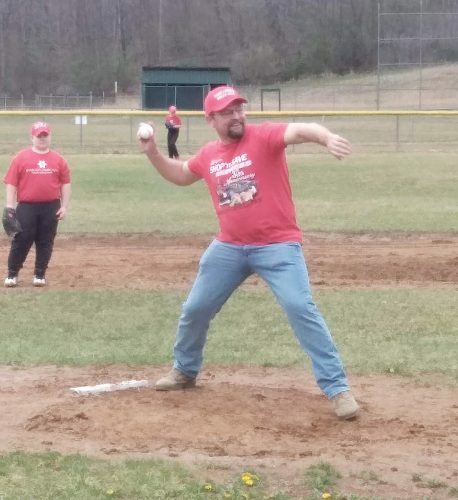 … The Mountaineers scored 23 points off turnovers. Iowa State had just six. West Virginia’s 3-point percentage was aided in the first half by three banked 3s; two by James Bolden and one by Daxter Miles Jr. “They made them. So they count,” Prohm said. That flurry of fortunate baskets came just minutes after a fan won a contest staged by a local bank by hitting enough shots off the glass. “Honestly we were lucky. We banked in three of them. 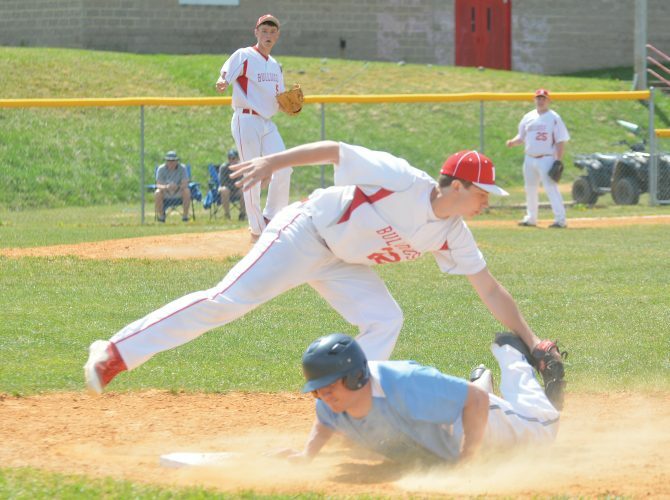 It doesn’t hurt to be lucky every once in a while,” Huggins said. West Virginia hosts the Cowboys this weekend. Iowa State has the most dreaded date on any Big 12 team’s schedule — on the road at Phog Allen Fieldhouse — on Saturday.